You are currently browsing the tag archive for the ‘terrorism’ tag. Another mark of increasing age, though I suppose I should be pleased at this one, was a request to deliver a memorial lecture. The topic given to me was ‘The March of Folly’, which led me to look up the origin of the phrase. I knew it was the title of a book by the popular American historian Barbara Tuchman, but I had thought this was the one she wrote about the beginnings of the First World War, chronicling the headlong rush into a war that could have been avoided, and which destroyed the world its perpetrators thought to perpetuate. In fact ‘The March of Folly’ is a later book, based on the idea that folly is the pursuit by governments of policies contrary to their own interests. Tuchman deals with four examples of this, beginning with the decision of the Trojans to take into their city the horse left on the beach by the Greeks who had pretended to abandon their attempt to conquer Troy. She goes on to discuss the policies of the Popes who precipitated the Reformation, and then the British blunders that led to the independence of the United States. Finally, and at length, she deals with the American disaster in Vietnam. All very interesting subjects, and I should now read the book. But it gave me a focus for this new series, which will look at recent political history in the context of folly in the Tuchman sense. I will not confine myself to governments alone, since the whole picture demands looking also at what others in the political arena engage in. And the series will be different from the lecture, which will have to be tightly focused. But these articles will I hope provide some food for thought, and with luck some changes in approach – assuming, that is, that those who decide, and those who influence decision making, both read and think. The Leader omitted salient points in the answers given to the various questions asked . It may have felt diffident about carrying criticism of the Minister of External Affairs and the Head of the NGO Secretariat, but given how badly the incompetence of such individuals affects the country, it seems desirable to publish the interview in full. >Q. How will the listing of Diaspora groups impact on the reconciliation process? This seems to have been a hasty decision without proper consideration of the possible consequences. The general tendency of our decision makers in promoting reconciliation seems to be to do too little too late, but this time it is a question of too much too late. Basically we should four years ago have sent a very clear message about the disruptive impact of certain diaspora groups while working positively with the majority. Four years ago, when I still had an executive position and met the British Foreign Office they told me that we should be talking to the Tamils, which I said was obviously the case. However when they mentioned the TGTE I told them that was an outrageous suggestion, and they should distinguish betweent the TNA and Tamils in Sri Lanka, who are our people on behalf of whom too we fought terrorism, and separatist movements which had encouraged and financed terror. Unfortunately we have a Foreign Minister who cannot make such distinctions, but simply bleats and follows whatever is the fashion of the moment. So he, and his monitor, sabotaged discussions with the TNA, but did not deal firmly with the more cynical of the international community when they played ball with separatists with a history of support for terrorism. They have still not investigated the Audit Query about our former Representative in Geneva, now Foreign Secretary, giving an important contract to someone thought to be supportive of the LTTE. Indeed they have suppressed the file. But now, having been indulgent for so long, now when they proscribe everyone in sight, it will be difficult for anyone to take this seriously. The Foreign Ministry has done nothing about the LLRC recommendation to build up positive relations with the diaspora. Instead, as happened with Dayan Jayatilleka, they engaged in adverse propaganda about those who talked to the moderate Tamils. 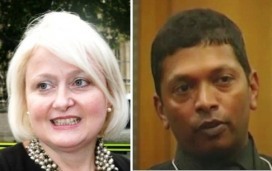 No attempt has been made to work with multi-racial groups in Britain or Australia, where there are very moderate Tamils. But when you have a lunatic situation where the person supposedly in charge of implementation of the LLRC initially was suspicious of people simply because they were Tamil, you have a recipe for disaster. So we have now institutionalized a blunderbuss sort of approach which will alienate the positive people – while I have no doubt those who are engaged in nefarious pursuits will slip through the net. At the recent discussion held at the Marga Institute on accountability and reconciliation, I was confronted with an accusation I found interesting, and not entirely groundless. One of the brighter individuals earlier involved in advocacy NGO work suggested that my explanations for some responses of government were similar to what was claimed in mitigation by those who refused to criticize the LTTE when it was intransigent in discussion and continued to engage in terrorist activity. I think there are differences, not least because I have drawn attention to governmental lapses in various areas, while also arguing that, while one should understand why government hesitates to move forward on issues that would contribute to reconciliation, one should nevertheless point out the need to move. As a distinguished Indian diplomat put it when talking about his government’s support for terrorist groups in the eighties, one can understand why this was forthcoming, but that does not justify it. That is why I will continue to point out the need for government to develop better mechanisms of consultation of the people in the North, as well as sensitivity to their concerns. But it is true that I can understand why government feels so diffident, and that is why I believe it is necessary for those who are contributing to the insecurity government feels to also mend their ways. The apologists for the LTTE would point out how Tamils had suffered in the past not only because of majoritarian political decisions but also because of waves of violence that government had unleashed, or at least not actively discouraged. Their argument was that one had to indulge the LTTE because of the distrust they felt. I seem to have struck a raw nerve in making public my account of what Siobhain McDonagh’s researcher was up to, in publishing false stories and possibly making up false videos too. He finally got in touch with me again, not to send me the clips he had promised of attacks on hospitals, the evidence he had second thoughts about sharing, but rather to upbraid me and tell me about his prominent friends. Amongst them it seems it the British Defence Secretary. This seems to me highly unlikely, since Philip Hammond is not the sort to consort with terrorists, even if they might bring him a few extra votes. Perhaps Daran is counting on those who have recently, ever since they realized David Miliband was not going to bring home the bacon, been contributing massive amounts to Conservative Party coffers. But I cannot see Hammond succumbing to such blandishments. 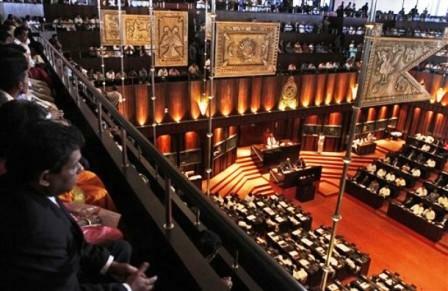 Mr. Deputy Speaker, in speaking on this Motion I should perhaps start by saying that I do not think the way it has been put quite expresses the enormous relief in this country at having got rid of the need for Emergency Regulations, in fact at the removal of an Emergency situation in Sri Lanka. This has happened after a very long time. Even though in the past forty years we have sometimes had brief alleviation of the Emergency Regulations, we knew that the Emergency situation still continued, and very soon the Regulations were reintroduced. However, having said that, I think we need to remember that for the future there is a need for greater regulations, given the rise of terrorism worldwide. In the West you have things like the Homeland Security Act. We need to rethink our whole security situation and make sure that laws are introduced that are justiciable but that still make very clear the need to guard against modern methods of terrorism. I have written at length about the strange business of Convoy 11, which took in the last supplies of food sent to the Wanni by land in 2009. 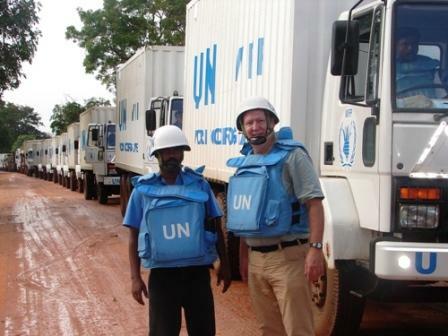 The adventures of this convoy have formed the backbone of criticism of the Sri Lankan government, beginning with a diatribe by Human Rights Watch a couple of years ago. I responded to this at the time, but the matter was not taken up by the then Ministry of Foreign Affairs, to check on what sources within the UN had claimed. These sources were doubly culpabale for the official position of the UN, and the letters we had from them, indicated that there had been hardly any problems for which government was thought responsible. I continue to believe that more active engagement with the UN, the senior leadership of which was well aware of the true reasons for problems, would have been helpful at the time. It is still not too late, as I have advocated, in writing as well as orally, to discuss more fully with responsible people in the UN the strange allegations that have emerged in the Darusman Panel report as well as the book written by Gordon Weiss, who should still be held accountable by the UN in terms of his contract – but they will not act on this unless we request them to formally.